Our Device Management and Restrict Number of Streaming Devices feature allow you to restrict unauthorized viewing of your content. With our Device Management feature you can restrict the number of devices (i.e. Mobile Phone, Tablet) on which your subscribers can register/login to view the content(This is only for Apps). When a user registers/login on a specific device, his/her account is associated with that device. You can view on how many devices the user has logged in. The user can also view the number of devices he/she has logged in by logging in to your website. You can remove any device that the user has logged in from the CMS. The user can also remove old devices and register new devices by logging in to your website. You can also define after how many minutes or hours the device will be removed. Note: This feature will not work for laptop/desktop. With our Restrict Number of Streaming Devices feature, you can restrict users to watch content on multiple devices and/or browsers using the same login credential. When a user tries to view content he/she will get warning message if the login on number of devices/browsers exceeds than the restricted number of devices. First you need to enable Device Management feature from the CMS. Note: By default, number of device is set to 1 and Device delete duration (Minutes) is set to 5 minutes. You can mention the device number and device delete duration as per your requirement. 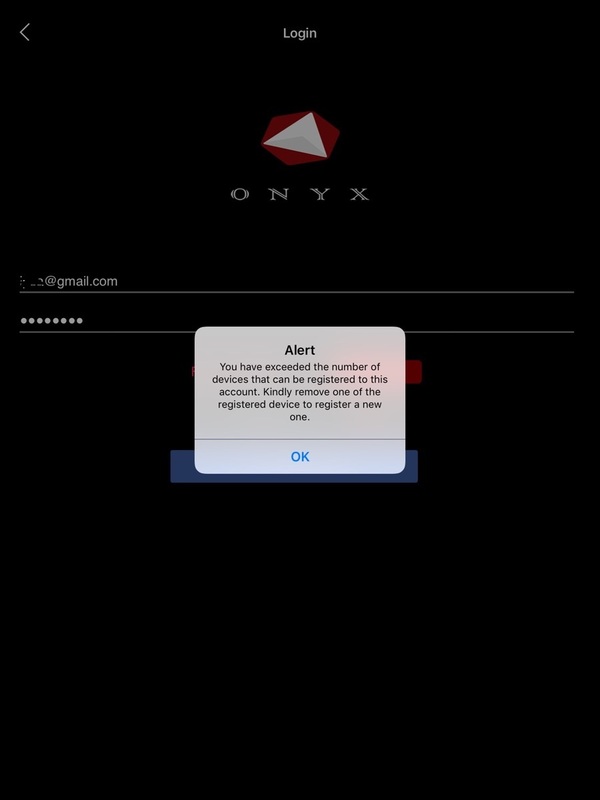 After the Device Management is enabled, your users will get warning message when their number of login devices exceeds than the number of restricted device mentioned by you. For example, you have mentioned the number of restricted device to 3. A user has already registered 3 devices. When he/she will try to register a fourth device he/she will get warning message. If any user wants to add a new device, then he/she first need to remove the existing registered device. There are 2 ways to remove a device. Please follow the below mentioned steps to remove device from user's end. To remove a registered device from his/her account, a user first needs to login to your website/App. When asked for confirmation, he/she needs to click on “Yes”. The registered device will be in disabled state and after "Device Delete Duration" is over (Which is defined in the CMS) the device will be removed from "Manage Device" list. Minimum duration to delete the device is 5 minutes. You can define the duration as per your requirement. If you have set 10 minutes for “Device delete duration (Minutes)”, then the device will be deleted after 10 minutes. If you wish to add the deleted device again, you need to login from that device. The device will be automatically registered again. When get prompted, click on “Yes”. The specific device will be removed immediately. A user can share his/her login credentials with others to view content on different browsers of multiple devices and browsers (Mobile Phone, Laptop, Desktop). You can easily restrict this by restricting the number of streaming devices. If you set the restricted streaming devices to 2, then the user can only view the content on 2 different devices or browsers. If the user will try to view the content on a 3rd device he/she will get a warning message. When a user tries to view any content on more than the restricted devices, then he/she will see a warning message and will not be able to play the content.